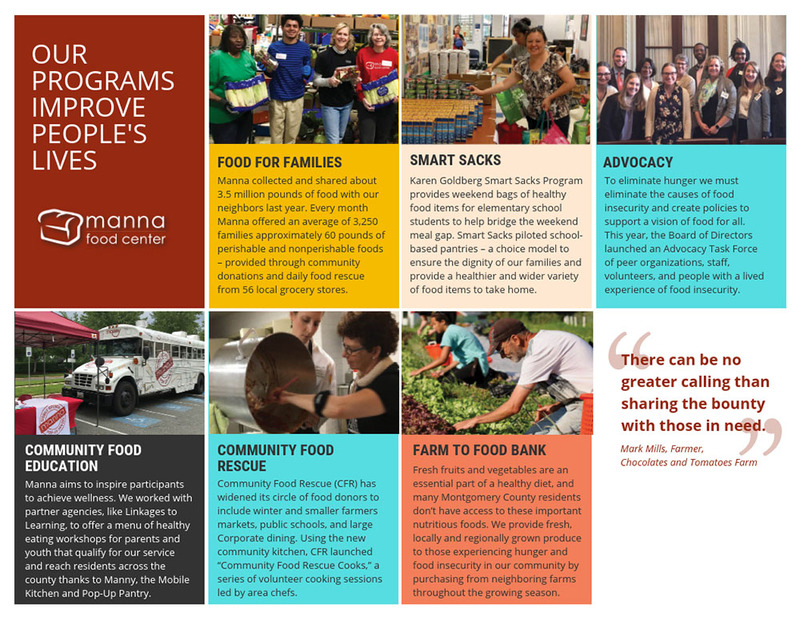 Manna Food Center is focused on ending hunger in Montgomery County. Whether a neighbor in need is experiencing hunger temporarily or coping with an ongoing crisis, we aim to eliminate hunger by providing nutritious food, life skills, and connections that enable participants to be well and thrive. Download our latest annual report. To view previous fiscal years, visit our financials page.